In our commitment to help you find the best products based on your preference, we have picked out what we feel is the best unscented soap based on cleaning power, gentleness on skin, and value for money. This is a product of hours of in-depth research and assessment of different kinds of soaps including bar soaps, liquid soaps, hand soaps, and even soap for tattoos. 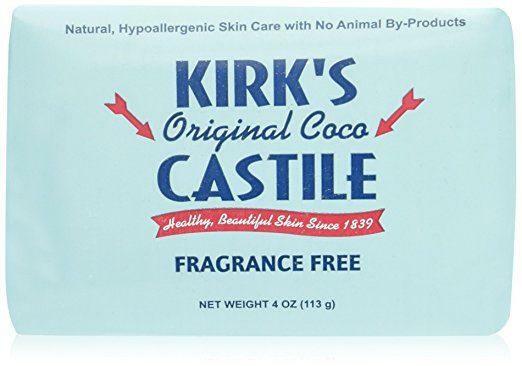 The Original Coco Castile Bar Soap, Fragrance Free by Kirk’s will leave you feeling like royalty. This bar soap produces a luxurious lather that will make you look forward to your next bath time. 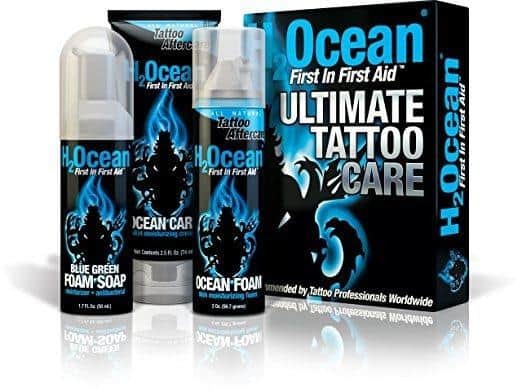 Every tattoo enthusiast must get their hands on the Ultimate Tattoo Care Kit by H2Ocean. The soap made for tattoos included in this kit is antibacterial, vegan-friendly, and free of parabens. USDA National Organic Program-certified, the Organic Sugar Soap by Dr. Bronner’s is a mild conditioning cleanser that can be used from head-to-toe. It also participates in fair trade. Meiling Skincare’s Buttered Up & Naked (unscented﻿) has a smell to die for. This bar soap is infused with olive and coconut oils to moisturize, soften, and give skin a thorough clean. The Unscented Liquid Hand Soap by Clearly Natural has a non-drying formula and is great for those with sensitive skin. This hand soap is enriched with glycerin to keep skin soft and smooth. A hypoallergenic and vegetable-based product, this best unscented soap is ideal for those with sensitive skin and has a non-drying formula. It produces a nice, rich lather for a luxurious feel. This product has a short list of ingredients, making it less likely to come across an irritant. This bar is also biodegradable so while being gentle on the skin, it’s good for the environment, too. It comes in a white, oblong-shaped bar with the company logo inscribed on it. It lathers very easily and rinses off without leaving any residue, and can be used as a mild shampoo as well. Glycerin is one of this product’s main components. A humectant, this ingredient draws water into the skin’s outer layer, making it a great moisturizer and ideal for dry, scaly skin. An all-natural product, it lasts a long time and is even comparable to other expensive castile soaps. We really love that it doesn’t use any animal by-products and condones animal testing. People with tattoos will absolutely love this all-in-one kit. It basically contains everything you need for tattoo aftercare and is cheaper compared to buying separate products all at once. This package comes with an aftercare tip card, a moisturizing foam and cream, and the best unscented soap for tattoos. These are all water-based and can be used on old and new tattoos. The tattoo soap that is included in this package is antibacterial, paraben-free, and a vegan product. It comes in a convenient pump bottle to make application easier and mess-free and to avoid wasting the product as well. It is designed in such a way that aside from disinfecting your tattoo, it also helps keep the colors vibrant and safe. It stops excessive scabbing and drying and aids in the healing process as well. We believe this package is a must-have for anyone with tattoos. The way your tattoo looks depends on how you care for it now, so as early as today, we recommend trusting only the best. Certified vegan and organic, this best unscented hand soap contains shikakai for a gentle clean from head-to-toe. It has a rich, creamy lather and leaves skin super soft you’ll find hard to resist. Used for years, shikakai hails from India and has a lot of benefits like promoting hair growth. With this soap in hand, you’ll surely be turning heads and will be the envy of everyone. Free from preservatives, this hand soap does not contain genetically-modified ingredients. It comes in a huge pump bottle which you can conveniently place in the shower or bathroom sink. This soap has a subtle smell to it that isn’t too overpowering and cleans without overdrying the skin. A little goes a long way, and is so gentle that it is safe even for those with sensitive skin. What we really love about this liquid soap is that it participates in fair trade. While being good on the skin, doesn’t it feel good that you’re helping out the community in your own little way? Made for sensitive skin, this best unscented bar soap cleans and moisturizes the skin with every wash. This product is free from possible irritants making it safe to be used by the whole family. Natural and organic, this bar soap is infused with Cocoa, Mango, and Shea butters mixed with olive and coconut oils to leave you feeling like royalty once you step into the shower. We basically feel like queens and princesses when using this soap. It is also enriched with vitamin E oil which is known for its antioxidant and moisturizing abilities. It produces a luxurious lather, rinses out completely, and cleanses skin without overdrying it. Honestly, the color of this soap is one of the first things that attracted us to it. Its yellow color reminded us of ripe mangoes, and since we love mangoes, we had to get our hands on this. Most importantly, this bar soap is formulated without parabens. You may think that parabens are no big deal, but for nature freaks like us, this is definitely a huge plus. Our last product, this best non-scented soap is designed specifically for sensitive skin. It rinses off easily and has a non-drying formula, and does not contain substances that could irritate skin. Free of synthetic dyes, this hand soap has a clear color and comes in a pump bottle for an easy and mess-free use. It gives skin a complete clean but is also mild and gentle at the same time. Infused with glycerin, this hand soap deeply moisturizes the skin and takes care of dry, winter hands. It also lathers up very easily and doesn’t leave a filmy residue, unlike conventional soaps. This liquid soap provides hands with a “squeaky clean” and does not leave any residue behind in your bathroom sink. Its bottle is also very easy to use, even little kids can use it on their own. This product is really a must-have for those with sensitive skin. Unscented hand soaps can be quite difficult to find these days, so with this in hand, you can rinse all you want with confidence. Long ago, when it came to personal hygiene, bar soaps were our first picks. But they were gradually replaced by liquid soaps as time passed, whose initial use was as a hand wash.
Soaps, whether in bar or liquid form, are made up of the same properties: detergents and alkali. Its detergent component acts as a surfactant to mix dirt and oil with water to be washed away. With this in mind, which one’s better—liquid or bar soaps? Let’s take a look at both their pros and cons. One reason people hate using bar soaps is that bacteria can easily transfer from person to person. A study, however, proved that this is not true, making bar soaps completely safe to use. But if you’re still worried about the transfer of germs, you can always make each person have his personal soap. A high pH level is another disadvantage of bar soaps, which dries out the skin. Lovers of bar soaps then pointed out that majority of bar soaps are infused with glycerin to moisturize skin. Also, bar soap might be your best option if you have sensitivity to fragrance. Unscented versions of bar soaps are easily available compared to unscented liquid soaps. The most “popular” disadvantage of liquid soaps is overuse. And then when you add their cost to the equation, you’ll realize how economic bar soaps really are compared to liquid ones. However, if you hate that soap scum that accumulates when a bar soap is left in water, then liquid soaps are your best bet. They also produce a thicker lather, and are easier to handle. Another advantage of liquid soaps is that they are packed with moisturizers. This benefits women the most because their skin is more sensitive and thinner than men’s. If you have sensitivities to fragranced products, common sense tells us to opt for unscented or fragrance-free ones. But in the world of soaps, which of these products actually deliver? We’ve chosen the Original Coco Castile Bar Soap, Fragrance Free by Kirk’s as the winner of this round as the best unscented soap. This vegetable-based soap does not contain ingredients that can harm the skin. Biodegradable, this bar soap produces a good amount of lather, rinses off easily without leaving any residue, and is non-drying. It is also very affordable. So if you have sensitive skin, this product is really worth checking out.